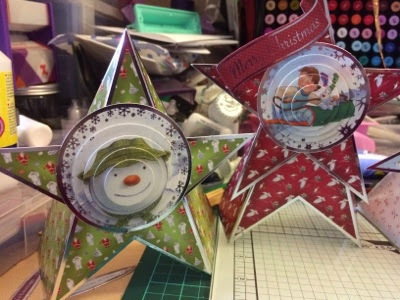 Today I managed to make some cards even though I have a trapped nerve in my neck. 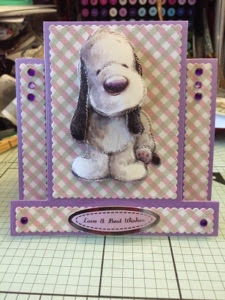 My 1st card I made was using the purple pearlised card, the backing and decoupage came from the Barkley paper pack, the gems I had from my stash. 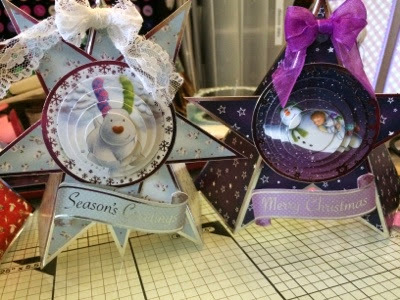 The stepper was made by using the crafts too presscut die and I used it for the first time today. 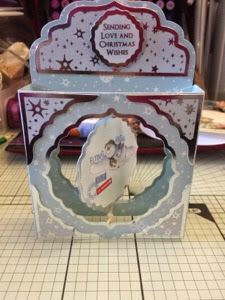 And the other cards are made from the snowman & snow dog paper kit I have enjoyed putting these together. These are all gorgeous Sam. I am making Christmas cards too at the moment. Hello Sam, These are gorgeous cards, really love the stepper die too.. Ouch your neck sounds painful, hope it mends for you soon.